Nancye Tuttle of Wells drifts along the Merriland River underneath towering Japanese knotweed at the Wells National Estuarine Research Reserve on Aug. 8. The knotweed is an invasive plant that chokes out native species. 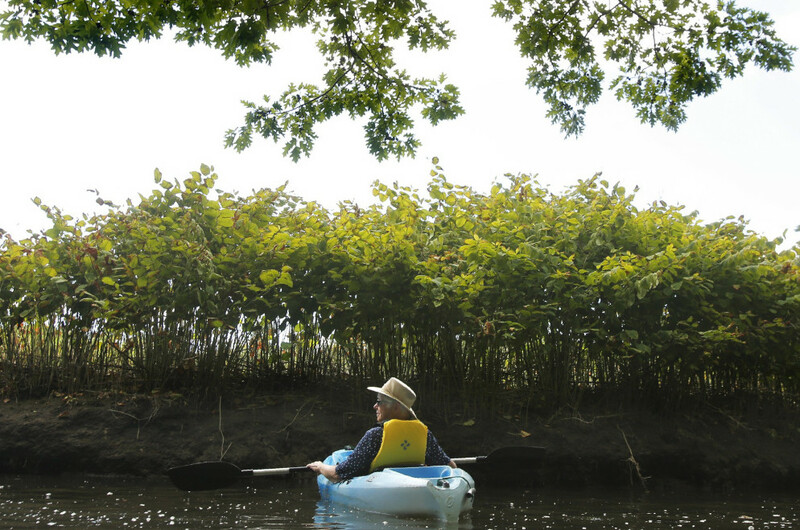 Nancye Tuttle of Wells drifts along the Merriland River underneath towering Japanese knotweed at the Wells National Estuarine Research Reserve on August 8. The knotweed is an invasive plant that chokes out native species.